Great choices! The covers do look amazing. I always end up judging a book by its cover on whether I want to read it or not. I can't wait for Sirensong! Both good picks. 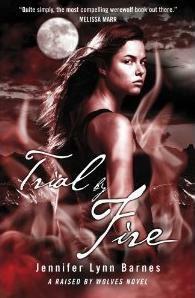 We just got Trial By Fire in the mail and Alyssa was very excited! I soooo can't wait for either of these as well! Both of these look excellent, but I have yet to read the prequels!